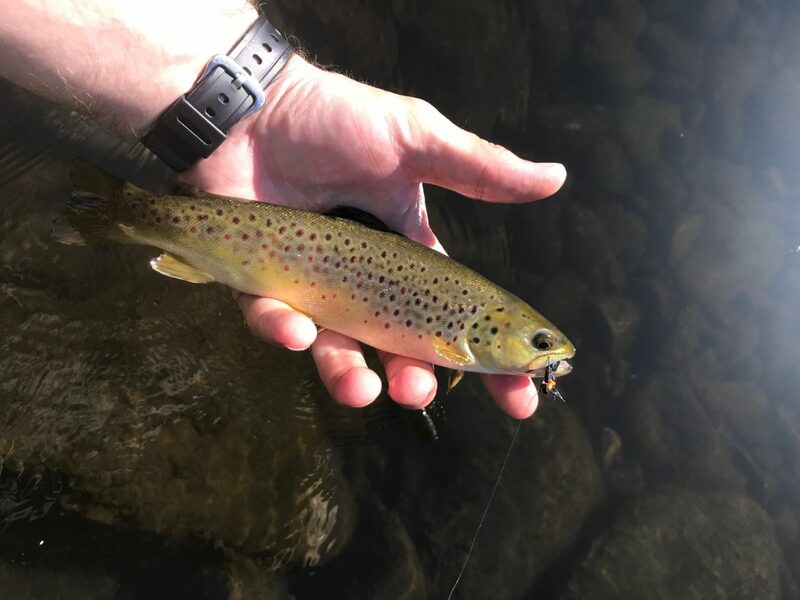 If you are married to or friends with a flyfisher, you are familiar with the following: you are driving along a country road and there suddenly appears a stream, river or body of water. For some reason the car starts to slow down, then pick up and then slow down. The vehicle doesn’t even bother staying in between the lines. I am constantly checking out any body of water to see if it is “Fishy” or to find a new spot. I guess it is almost as bad as texting while driving. I collect maps and books that have maps. The main theme is that there is usually a river, stream or body of water somewhere on the map. I am a river chaser, or in cartographers terms, a Blue Liner. A Blue Liner is a person that looks at a map for the blue lines which represents water and follows them. I used to follow them looking for places to canoe, now I follow them looking for places to fly fish. Maps and anything paper are slowly being replaced with cell phones that have GPS (Global Positioning Systems) and E Books. They are great as long as you have service. I figure that when we have that big solar burst that fries all the electronics in the world, I’ll be one of the few that will still know where all the good fishing spots are. This summer I have decided to blue line with a purpose and to try some new rivers. Going to the NH Fish and Game website I was able to locate some of the local rivers they stock. I was heading up to Milton so I decided to check out the Branch River off the Milton Mills exit. I brought my 3 weight rod in case I found some fishy water. There were a few pull offs that looked like they had been used. I stopped at the first one and walked down to the river to the spot where Jones Brook joins the Branch. There were a few pools that I tried. 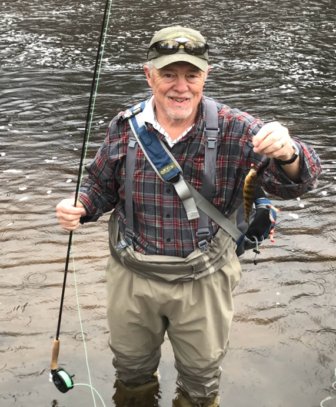 I did coax a small Brookie to take my # 18 nymph. I drove up RT.125 toward Wakefield to see if there were any more spots. I stopped in at Nute’s Trading Post to get some more info. Nute’s is a fully equipped bait shop so I thought someone would have some info. The young lady working told me that the stocking trucks put in at a pull off on the Milton Mills side of the highway which I promptly checked out. The Branch looked very promising and would be a fun river to fish. So in the meantime, I’ll check my maps for other blue line possibilities and let my wife do the driving.